You've heard it before. It's all about the story. That's exactly what this section is. Here, you will read some of the behind-the-scenes stories that went into the making of some our projects. Although every project has a story, this is a sample of the typical and not so typical variables that go into creating a memorable and effective visual campaign. 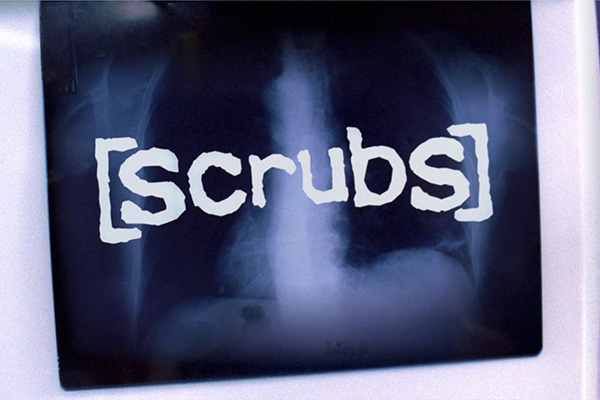 Without question, the Scrubs main title has been WunderFilm’s most notable project. You know it is a hit when people on YouTube have created their own parodies of it. 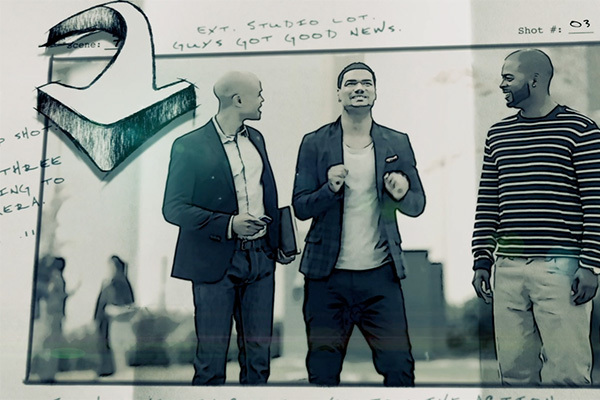 WunderFilm was asked to create the opening - but NBC only wanted it to be six to eight seconds - plus, they wanted all six cast members to be featured, plus a logo reveal and a created by credit. On a conservative timeline, that should be 14 to 15 seconds in length. So we needed to come up with a solution. • We pitched this idea of motion control, with each actor doing the exact same movement, while a computerized camera on a dolly track records several takes. Since the shots were all identical, except the actor, we could cut between each actor, featuring each one. The problem was, this hadn’t ever been done. It was new technology and we had to persuade NBC to let us do it. We rehearsed the actors for a full day so that they would have as close to exact motion as each other. Truthfully, I don’t think anyone really understood what we were attempting. But, the show and network trusted us. For that, we thank them - and now, it is one of the more iconic main titles of our time. In the more recent years, main title budgets have been slashed; which means that more and more of the main title has to be completely generated in the computer. Most of the time, the production company can provide some elements for us to design with. But, not always! 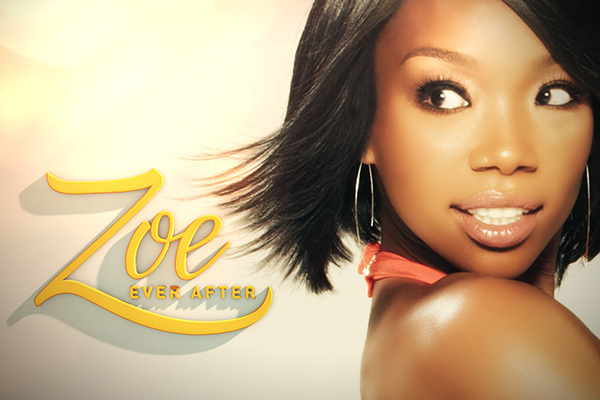 • For the Zoe Ever After main title, the show wanted the lead character Zoe to be in New York City. Problem though, we had no footage of her in NYC, had no access to the actress, nor a budget to shoot anything. Through a lot of begging, we were able to get a couple of publicity stills of the cast. Since the character Zoe owns a cosmetic line, we designed an ad for bus stop signs, the subway and pedestrian signs all within NYC. The city footage was purchased stock footage; whereas we applied an immense amount of visual treatment. WunderFilm accomplished the goal… we put Zoe into New York City! Warner Bros. hired WunderFilm to do two main titles, “Six of One”, which became “Friends Like Us” to just “Friends” and a sitcom starring Hilary Swank and Giovanni Ribisi. Warner Bros. gave us a budget for two shows; to be split however necessary. For Friends, we directed a main title in the coffee shop on their first day ever shooting as a cast. It did not go well… it lacked energy and chemistry; probably since it was the their first day. The executives wanted to wrap the shoot quickly and spend the majority of the budget on their other show, the one that was to be the “hit”. 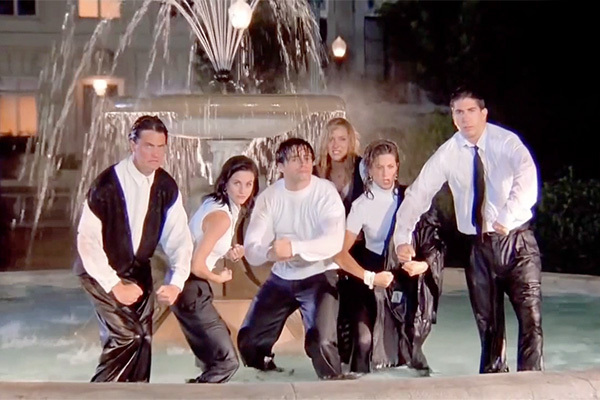 No one felt that Friends would have a chance of getting picked up, much less, actually aired. We got a few shots to put a future edit together, but nothing more. Friends was shelved. • Awhile later, we got a call from Friends and were asked to quickly put a main title together - NBC unexpectedly had an open time slot on Thursday night and needed to air something. They wanted to air Friends - but, this was Monday morning. The main title had to be done for satellite transmission by 8am on Thursday morning! Director Kevin Bright said he shot some material of the cast playing in the fountain. But, we also needed music. Three approved music tracks were sent over and we were to pick any one of them; whichever we liked the best. But first, we were asked to rank them. Honestly, “I’ll Be There For You” was our last choice. But we chose it. Kevin asked why we choose our least favorite song. We said, when this show is a hit, which we believed it would be, we felt that this song would be a number one hit - and it was. Therefore, we chose that song, leaving our personal tastes aside! Imagine if we chose our first favorite instead?! • We did an all night edit at Complete Post in Hollywood, finishing 10 minutes before the satellite deadline. It aired without anyone from the network or production company seeing it. That would never happen today; but keep in mind, no one thought this show would ever air again, much less a hit! The client really wanted a graphic design that could be incorporated into transitions for the show. So we created a storyboard effect for the main title and transitions. It made sense since the show was about the Wayans trying to create their own new show. • In order to achieve the effect, we had to rotoscope many scenes, while applying several passes of filters that created the hand drawn look. To give it motion, we applied an effect that is referred to as parallax. That is a process where the foreground image looks like it is closer to you than the background. To further the storyboard effect, we added text and animated arrows. It was a great look and several transitions for each episode had to be created. Without a doubt, it branded the show. The main character of BET's Being Mary Jane had a bad car accident. The show shoots all scenes from a season at once, so it is common to have scenes from an early episode shot on the same day as a later episode. Furthermore, shots done earlier in the day, may have a different look than shots done at the end of the day. This process is good for production costs, but bad for continuity. 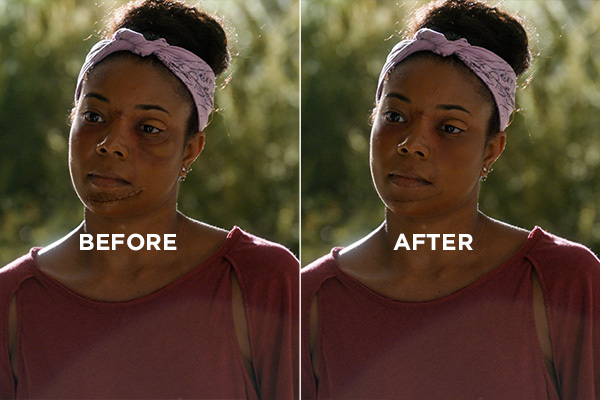 During the first five episodes, Mary Jane's face had several versions of accident makeup - and at times, not that flattering. • WunderFilm's job was to match the makeup from scene to scene, from episode to episode. It was very common that the makeup changed from cut to cut or from scene to scene. We had scenes where she had a huge cut on her chin in one scene, then the next scene, the cut moved to another part of her face. Sometimes scabs appeared, then disappeared, then appeared. We definitely had a challenge with this season, but overall, it came out quite nicely. • And in case you were wondering, yes, she moves all over the place. Painting faces is very difficult to do, but even harder when the actor is moving around and the camera is too! Instead of seeing just this scene, we recommend you view our Effects Reel. The production company really wanted to show latin culture in the main title; all forms of interesting performance art. They provided us with most of the footage, but since they were using most of the footage in their cold open, we were required to do something different with it. • The show was based on the premise that Jennifer Lopez and Marc Anthony would walk around latin cities and discover talent. It could be anywhere. They were searching for talent. So we decided that the graphics for the main title should represent that a light stand could be set up anywhere and start shooting. The graphics should have a hand made feel. • In order to treat the footage, we created cardboard graphics of the logo and clamped the cardboard to a light stand - almost as if the crew set up a quick set, while shooting talent they just found. We took our edit of the footage and created a loopable DVD and played it on a large screen monitor. We then took a camera and shot the monitor with various cardboard cutouts in the foreground. The camera rack focused between the cutouts and the monitor. What you see in this main title, is our pre-edited footage shot off another monitor - then re-edited again, using various shots from that shoot. We then applied an overall color treatment to the footage. Truth be told, we stole this idea from ourselves. 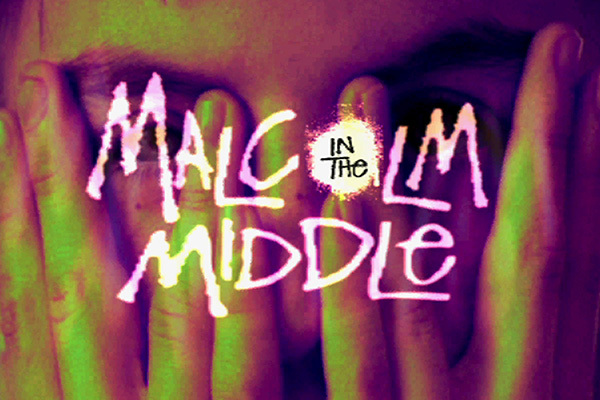 Years ago, we did something very similar to our Malcolm in the Middle main title. Hey, it was a good idea then and looked even better this time around! As a compositor, you are always presented with green screen footage and you scratch your head saying, “how the heck am I going to make this work? !” Green screen shooting is an art form; sometimes it’s done well, other times, not so much. 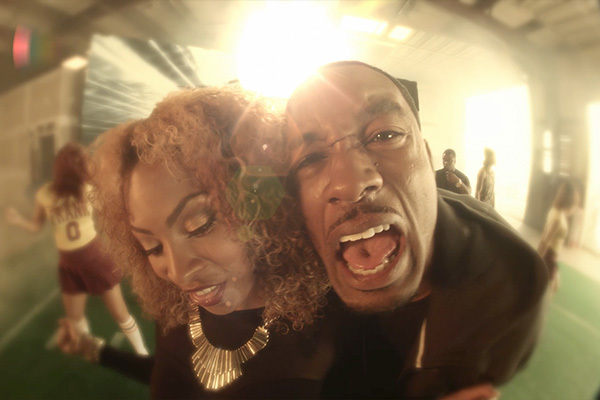 • This scene was from a music video within BET’s The Game. It was one of the more challenging set of scenes that we have had to work on. Truth is, the production company really felt that they had to cut this scene, that the footage was going to be too difficult to composite. But, they asked WunderFilm to take a stab at it first. The green screen behind the van was meant as a monitor of football scenes from the show. • But, did you notice the green grass that represents the football field in front of the green screen? Some of the dancers were wearing green. The overhead light blows out the green screen. And did you see how the actors are partially in front of the green screen, while parts of their bodies are not? And yes, the camera is hand held, no tracking marks, smash zooms, rack focuses and smoke! • Yes, very, very challenging. But, the final version looked quite sweet! There were no notes on the first pass presented. The show was relieved that they had a scene to use in the show. We were glad to help, even though we lost nights and nights of sleep! There isn’t too much of behind-the-scenes interest on this one, except that this show was one of the more interesting; yet terrifying shows we have worked on. If you never saw the show, it was a game show that built a set on top of a high rise building in downtown Los Angeles. They built a massive conveyor belt that had to be lifted to the top of the building. They even had to structural retrofit the building to accommodate the weight of a show on its roof. • The show’s premise placed contestants on a conveyor belt that spanned the rooftop. They started at one end. As questions were being asked to the player, the conveyor belt started to move. If the player didn’t answer all necessary questions by the time they reached the end of the belt, they were dropped off the side of the building! Insane!! 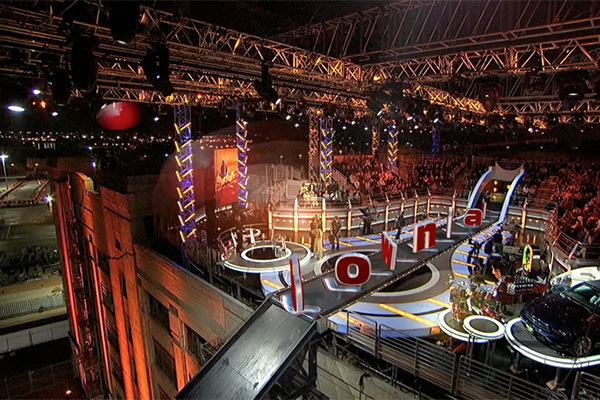 • WunderFilm had to create all of the show graphics and main title for this game show. Here’s the thing most people don’t realize… every graphic, if it appears on the screen, options selected or not, dollar amounts, buttons, backgrounds, headlines, etc., everything has to be created and imported into a massive computer program that controls every possible selection or form of game play. WunderFilm created probably close to a thousand different graphic elements, including the main title for the show. We had to be present during the shooting of the episodes, and yes, deathly afraid of heights! This main title is probably our most precious main title although it looks quite dated today. Dated back to 1994, it was our first main title ever designed and it received two Emmy nominations; but also won the Emmy too! We had just bought the Flame compositing system, a million dollar investment. We were the first company to buy into this platform, which is now the industry standard for high-end effects all over the world. Problem was, the trainer from Discreet Logic, author of the software, only learned the Flame software the day BEFORE she was to train us. Needless to say, this main title was done with a manual sitting right next to the computer - we had no one to discuss issues with, we were the first people to ever use the software. But, it paid off at the Emmy ceremonies! • The concept of the show was to illustrate the future. Each episode of the 22 ordered, dealt with another topic of the future. Topics like travel, housing, food, medicine, etc. 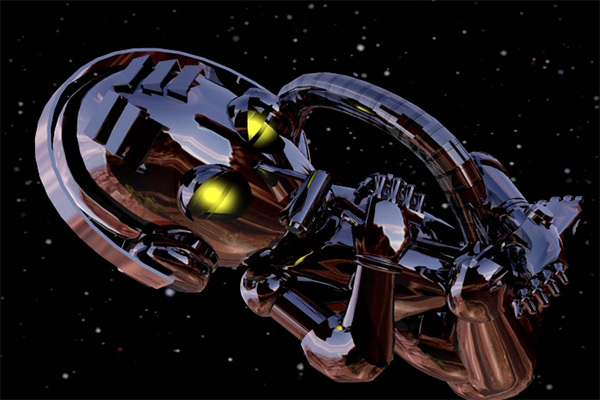 The main title was take us through a journey of future concepts to future life - whereas we created RoboBaby which appears at the end of the main title. Post Magazine decided to feature him on the cover of one issue, another treat! But, there is one element we had to compromise on. At the beginning of the main title is a woman saying “I’m ready for my future…” She was suppose to be a transgendered person. Our thought was that in the future, gender will become less and less obvious and/or important. We cast for it and the “woman” was 100% convincing; no one would have known. But, once the network found out we cast a transgender person, they required us to re-cast to a real female! Warner Bros. hired WunderFilm to create the main title for the final season of Veronica’s Closet. They had one objective: make Kirsty Alley a super model. They wanted her final season to go out in style. • This project was by far, our largest budget. We rented out a large warehouse and built a massive runway set. We had dancers and costumes. We had over 100 crew people working. Madonna had just done a video where she looked phenomenal. She used a new lighting rig called the ring of light. We contacted that production and rented the same equipment. • The bottom line, Kirsty looked fabulous. Jeff Wunderlich, our creative director, has a unique way of directing main titles. Actors act when you yell “action!” and one doesn’t always get the most real life performance. But often, the best real moments are when the actors are rehearsing or just hanging out. So, when we direct a main title, we have a code with our crew. When Jeff does something like raising his arms over his head, like he’s stretching, it means that immediately the camera should start rolling - but without any actors knowing that we are recording. Our shots are mostly without sound, so the noise doesn’t matter. 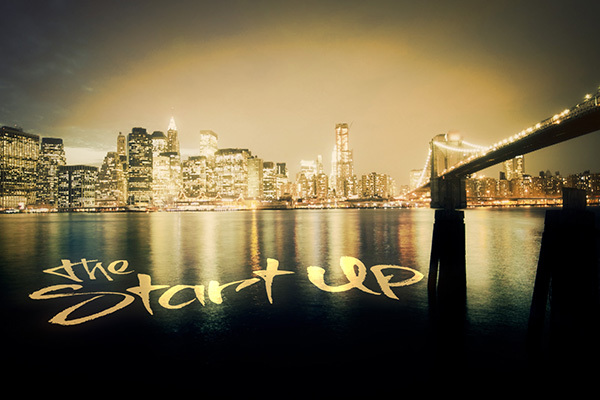 It doesn’t matter if everything is set up perfectly, just start rolling and start NOW! This little trick has served us quite well over the years. • All of the beauty shots of Kirsty at the beginning of the main title were shot while she thought she was rehearsing and doing camera checks. When we broke for lunch, about 20 minutes after her camera check, we showed her the scenes - she had no idea that we got many of the close up shots done - and she couldn’t have been happier. We love this main title. WunderFilm has done many of the Walmart commercials over the last few years. The reason this video is being featured, is because of the process that we want to highlight. • It is very common for Walmart to provide us very basic assets, like the product that they want featured - but nothing else. Almost always, there is absolutely no direction involved. We take the elements and design to their look. In this case, Walmart wanted to open a section of their annual convention with a video presenting their apparel line. WunderFilm was given the task to create a high energy, slick video for this purpose. Again, with very little to work with, we believe we achieved the goal. They accepted this video on the first pass - we like that when that happens! The PJs is a stop motion animated sitcom. We were given the task to create a new main title for this Eddie Murphy produced show. We decided to project scenes from episodes that feature the main characters, onto sections of the miniatures. • The production set was based in Portland, OR. We flew there for a two day shoot. What was surprising, is that we were not expecting what we saw. 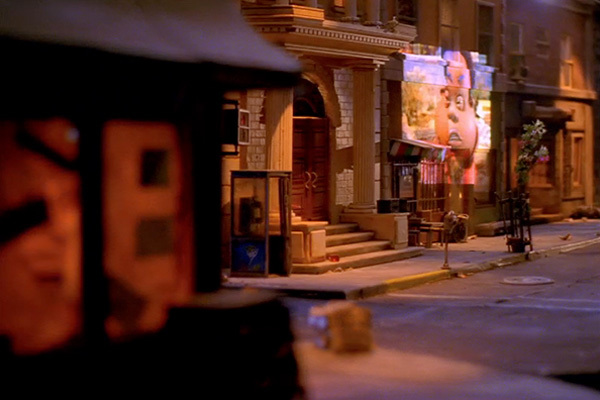 The sets were not miniature like we imagined, they were actually quite large - like life size doll houses for young children. We were expecting much smaller sets, but we were completely amazed by the set. If you haven’t ever seen something like this, it truly is amazing. This warehouse was sectioned off, like cubicles, housing different sets. The detail the craftsman put into these sets is nothing short of amazing. • Needless to say, this was a really fun shoot. It will never be forgotten! After shooting the original Scrubs main title, the next year, another one was created with the original cast. Since this shoot is based on motion control, with a computerized camera move, the length of the main title is locked. You can’t make it longer or shorter. So, in season 2, the network was so happy with the main title, they asked us to create a longer one. Season 1 was 12 seconds and the new one was roughly 20 seconds. But, it never aired. The band that created the song, simply sang it slower to reach the 20 seconds. ABC was so unhappy about this, they refused to let the main title air. They felt the music gave the show a slow start; they were probably right, but our main title was even better than the first one. • In the final season of the show, there was a new cast. Originally, ABC cancelled the show. The original actors all went onto new jobs. But then, they decided to bring the show back. Unfortunately, the cast was gone, so they revamped the show with new interns; which meant a new cast. The show wanted us to challenge ourselves again, to create an even more technically difficult shoot. We shot in two locations while blending them together - going from classroom to the operating room. 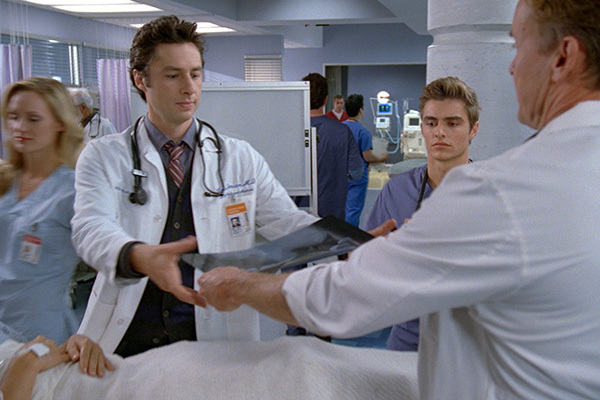 To add more of a challenge, the first two Scrubs main titles were two day shoots each. This third one; they gave us six hours to do the whole shoot. Ouch. Did you know the x-ray that contains the logo is backwards?! This became a running joke within the show - and made it into some scripts of episodes. Fans noticed it, but instead of fixing it, the writers wrote it into the script that they knew it was backwards; even though it was a mistake. WunderFilm created the logo and x-ray. We asked the set medic which way to use the x-ray; but obviously, we were told wrong. We’re good designers, just not good doctors! We had the chance to fix it in the final season, but the producers felt it became such an iconic part of the show, that it had to stay as a mistake. We couldn’t have agreed more! BET hired WunderFilm to create the main title for this movie for television. The director had one requirement, it had to feel like New York City. Not the glossy part, but the street level vibe. It had to be real. • Our challenge was… we had absolutely no footage to work with. There was no budget to go to NYC and shoot material. So, we searched and searched all the stock video sites and purchased shots. To make them our own, we treated the footage to make all the shots work with each other. • We created credits that seamlessly blended into and tracked the scenes. This main title is all stock footage, heavily treated, but all stock. Although it is better to have a budget to shoot original material, this proves you can make a main title from stock footage. We believe it came out quite well! XanGo is a network marketing company. Each year, they hold huge distributor meetings. They had a problem that needed to be addressed. Each convention would draw around 15,000 people. To start a convention, it was often difficult to get everyone into their seats, paying attention, yet be excited with tons of energy. • XanGo asked WunderFilm to create a countdown video. Basically, a video that plays for five minutes with a literal countdown attached to it so that people know exactly when the convention was about to start. It worked and worked really well! 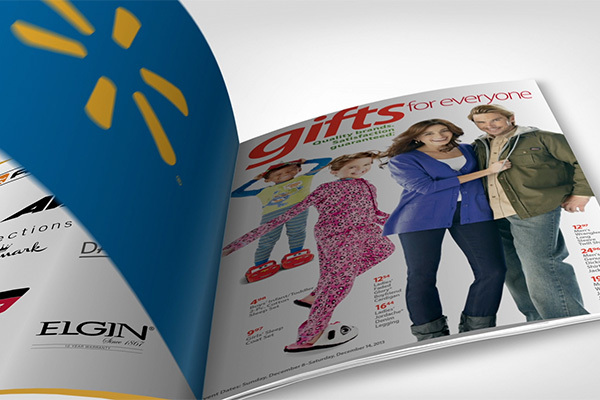 • XanGo wanted to feature their products in the video, but all of their assets were photo stills. They wanted to use a Chemical Brothers song, which is really high energy. 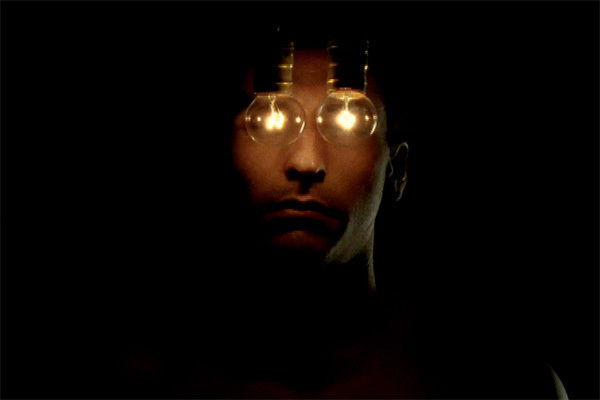 Showing stills to a Chemical Brothers song is deadly. Herein lies our challenge. So, we ramped our high energy compositing and this is what we created. It’s pretty awesome. Years ago, WunderFilm was hired to direct the main title for Mary-Kate and Ashley Olsen’s new sitcom, called So Little Time. • The girls’ management wanted something that felt like a music video, since the girls were branching out into so many different markets. We chose to shoot the girls at the beach, since the show took place in Malibu. We built large set pieces to composite other actors - like an art gallery on the beach. • The reason this main title is in our story section is for this… Mary-Kate and Ashley had such a good experience with director Jeff Wunderlich, that the girls asked a question. Would WunderFilm ever consider creating any product design? The girls were interested in launching a hair care line at Walmart and asked if WunderFilm could pitch product packaging designs. We did. In fact, we pitched 26 different packaging ideas for the hair care line. This pitch lead into five more years of designing every product that Mary-Kate and Ashley sold at Walmart, where they were the number one licensee. During those years, it was estimated that the girls’ fortune was valued at five billion dollars! And no, WunderFilm did not get a percentage of that! But, we have the honor of creating every product that little girls begged their parents to buy while browsing the aisles of Walmart! Creator Linwood Boomer sent us the pilot script and asked if we could create a main title. While meeting with Linwood, we said, we read a lot of pilots. We said this was one of the best pilots we have ever read and predicted he would win an Emmy for it. He, of course, laughed and said he could only wish. Well, he won the Emmy! • As a pilot, we had no footage to work with nor a budget to shoot. Linwood wanted it to feel like a dysfunctional family and wanted it to be violent. Kids behaving badly. We found and licensed old cartoons; something that kids would be watching. We put an edit together; which frankly, was quite violent. The network looked at it and said, “hell no!” We toned it down to what actually aired. • The footage was from so many different sources. Some of it was from a VHS tape, while other stuff was really clean. Some had good color, other stuff was really rough looking. We had to find a way to even it all out. Our solution was to just dirty everything up. We played the edit on a monitor and shot the monitor using a Hi-8 camera. The low quality camera helped grunge everything up. It created a look, for that time, was completely new and fresh. We took that shot footage and re-edited the main title. • This happened at a time when there wasn’t software plugins that create nearly every look you want to achieve. In our early years, WunderFilm competed with the huge design companies, with huge budgets. We didn’t have that. So, we were forced to get creative with our projects. We created looks that people couldn’t figure out how we did them. For another project, we shot it on 16mm film, dropped the film on the ground, stamped on it with dirty feet and then recorded the projection of that distressed film. Sometimes, doing something crazy creates a really unique look. As a result, WunderFilm got a lot of new clients from those big design firms. Needless to say, we didn’t have any friends from those big firms - but ironically, none of them are in business anymore! This main title was absolutely fun to shoot. It was one take and each actor had to be rehearsed to perform exactly on cue. The idea was that Norm created destruction wherever he walked. If you notice, everyone suffers a tragedy as he passes them. • The interesting part of this main title is the end. 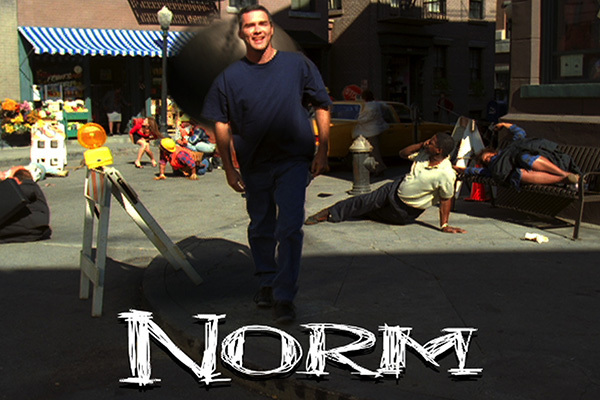 The original storyboard had Norm just walking up to and past the camera. We shot that. But, before we wrapped, director Jeff Wunderlich asked Norm and the producers if they had one more take in them. Jeff had an idea. What if we kill Norm?! As a joke, Norm agreed to lunge at the camera. We composited the shot with the wrecking ball; but we also did the original concept. The “killing” version was meant as a joke for the show; it wasn’t intended to air. We presented the main version to the writers in the writer’s room at the production office. But, after that, we said, look at this! There was much laughter and it was decided then, that “killing” Norm was the version that would air. And so it did! WunderFilm is often presented with the task of creating a main title for a pilot with a very limited budget. This is one of those cases. We had next to nothing to work with, but we needed footage or photos; which there wasn’t any. Our budget had only $500 to photograph shots for the title sequence. That was it. Ouch. • We took photos and then created a main title with them. The concept was simple. We made the photos into a Polaroid format that appear with each actor. 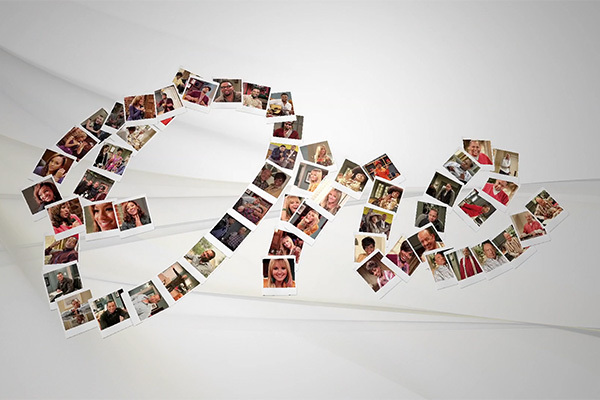 By the end of the main title, you see that the photos were actually spelling out the word “One” from the show name One Love. This is another special main title for us. Yes, it’s a bit dated now, but it represents raw filmmaking. This was a syndicated show, with a very limited and small budget for the main title. It was a show about street culture so we decided to shoot on the street. We took a skeleton crew to a junk yard one evening. Superstar director Troy Miller was instrumental in getting the great shots. We had one night so we just shot and shot stuff. We wanted the graphics to be hand made; made from stuff you would find on the street. We put graphics on the ground with chalk. We just did whatever seemed raw to us. We didn’t care, we just shot. • We won an Emmy Award for this main title.